Are you this business? Learn about ConsumerAffairs for Brands! Chase bank has got to be the worst bank around. I purchased a car loan over the weekend and called to get bank information for the car loan account itself, every customer service rep has something different to say and a different excuse of why they don't have their paperwork done yet. They are very unprofessional and rude. In my opinion they are lazy as well. It has been almost a week and they still have not yet completed my paperwork? Then while asking about the interest they basically told me "oh well" I'm still going to gain interest while I wait for them to process the paper. They recommended I call back sometime next week. When I was approved for my car loan it took an entire week to get the process completed due to poor customer service. I had to fax over information which I did promptly. I was told that someone was going to call me when the information was received. Nobody called me and when I called them later that day another person told me that they weren't doing any outbound calls because they were too busy. Nearly every time I called, the wait time was 30 min - 1 hr long! The dealership also had to fax over information which they did promptly. When I called a couple hours later they told me it was not received, but I called again another hour later and it had been received. Due to it being just after 5pm, the DMV was closed and they couldn't move forward with the process. They are very incompetent and you have to do their job for them (calling them multiple times instead of them following up with you). I have been a customer even before it was Chase Bank (since I was a Washington Mutual customer) and they didn't treat me as a valued customer. If you can get a decent interest rate for an auto loan elsewhere then I recommend avoiding Chase Auto finance! What year is it when you have no option to make an electronic payment to your account and have it post the same day. I can open an app on my phone and send my friend money and it shows up in his account instantly and I can do this for free. But for SOME REASON a huge company like CHASE can't allow me to make a payment and have it post to my account instantly. My electric company can do this but not CHASE BANK. Interestingly enough, your interest will accrue while you are waiting for your payment to post. SO RUDE, I can't wait to end my business with them. I had been late on my account, due to a flood at my home. I account my account had been paid on time up until that point. When I started having difficulty make payment on-time I contact Chase. I was told that they could not give me an extension for leased financing. Ok cool... weeks later I explain the another rep my problem and he said that "you need to have your husband call in and we will be able to help to due the flood." Had my husband call. Grant you I made a payment on 01/19/2016 and the next every next day they were calling for another payment. On Jan 26, I called them to set up my payment for Feb. 6, 2016... what do you think payment set up.. Today I get an alert about a pending transaction for my payment. I called Chase to advise them of the issue.. and tell them I authorized payment for 2/6/2016 not 01/26/2016. "What happen?" The rep said "I don't see a pending payment for 02/06/2016." I said "of course not because the rep entered the wrong date." She said "Oh I'm sorry there is nothing we can do.." I said "Don't you all record all calls...then listen to call please." She said "no the account was behind and the payment brought current to date." So you all can do whatever a rep wants just add on random dates. I'm so upset about this. My account is going to overdrawn. I always make my payment at least a day early online. This month, I went to make my payment at 5 AM on the 17th, as the payment was due on the 18th, and it would not let me select the 17th or the 18th. I have never had this problem before. I went ahead and made the payment for the 19th because I did not want to be late, and immediately contacted them about the issue on the 17th. I received a reply that did not address my concern at all on the 18th, did not show any "care" to me as a customer, even though over the past 3 years I have always paid early. All I got was a statement to the effect that the 18th was a banking holiday so I was late. Their site at the time I made the payment had that you could make a payment the same day as long as it was prior to 5 PM. It is clear they could care less about keeping good customers! I have learned my lesson to never use Chase Bank again! 484,986 reviews on ConsumerAffairs are verified. I personally recommend using another lender to finance your car. They don't care about you as a consumer. They repossessed my car & told me that I had to pay back the entire loan to get it back. How ridiculous, insane, & criminal. They are legalized loan sharks who should be forced out of business. Companies like this will crumble to the ground eventually. It is just a matter of time. We recently refinanced our Dodge Truck with Chase. I have gone on their website 3 times to setup an automatic payment. I am an accountant so working with computer programs is a normal thing. 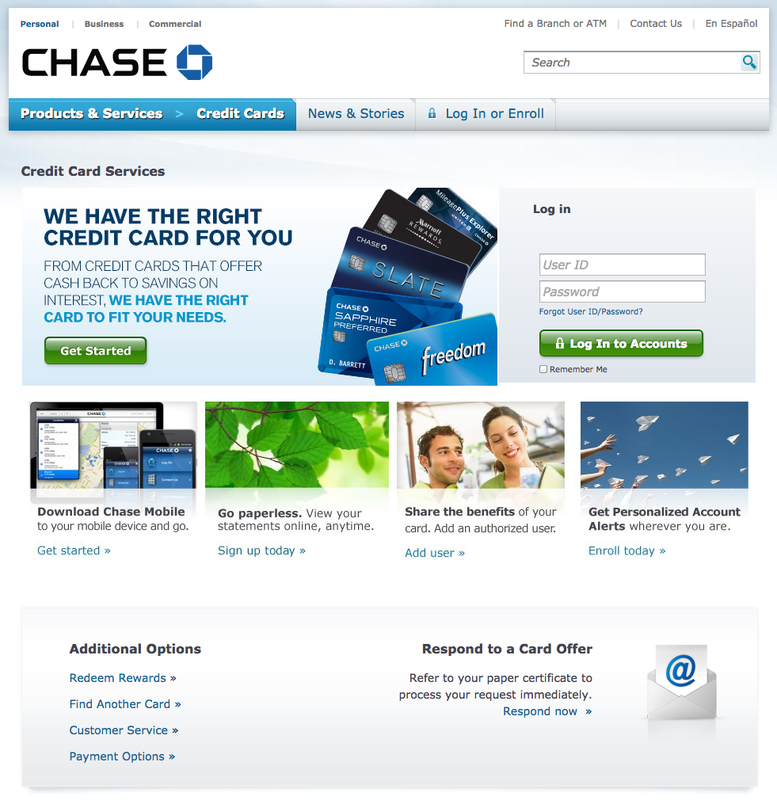 Chase's website has some serious functionality problems. I could tell that my first attempt at setting up an automatic payment didn't go thru when the payment didn't hit our bank account. So I went back on their website and set it up again. I did do the bank verification process that their website requires. I called them when the second payment did not take. Their online payment/technical person walked me thru the steps. Everything seemed to look good on my end, the online/technical person stated that things were good and that there would be no more problems with the payments occurring automatically. Chase's credit department called today, 1/7/16 to tell us that we are 2 months past due. So the payments are still not occurring. We made one months payment and plan to come up with the 2nd months payment. But, we were informed that Chase will probably be reporting a negative report on our credit. I don't post this because their website is not functioning properly, I am posting this because they will unjustly report us to the credit bureaus. Will never use them again for anything. I will never buy a car from a lot that's financed by Chase. First off, the dealership never even said it would be financed by a bank. I called to make a payment and the dumbass only took $408 off my card. My note is $480, **. When I tried to call back, the bastards didn't answer. Said they closed early for the holidays which explains why the jackass was rushing and didn't hear me. Once they reopened they called harassing me about the payment of $72. I asked to file a complaint and their supervisor so called was not there. Said he would be there in an hour. So I called back an hour later, made a $50 payment and the stupid ** tried to argue with me about 72-50. The dumbass just insisted that it is $22 then her ** transfer me and the piece of ** started harassing me about $22, was talking over me and when I said they have no customer service. He said they didn't have to have customer service skills and when I asked to speak to the manager the ** said that the manager just left for lunch. I was always satisfied with Chase Auto Finance until my vehicle was totaled. Called customer service and I've been transferred more than 6 times with each rep saying they would transfer me to the "correct" dept. I've now been on hold with my Geico rep on the line on conference call for more than 80 minutes!! There's been a lot of run around. All Geico needs is the letter of guarantee and the copy of the title. Geico has requested these twice to issue payment. The loan is now over 30 days past due all because Chase hasn't sent the paperwork Geico needs to issue payment. This is extremely unacceptable! I paid off my car loan on 11/30, after receiving a pay-off quote from Chase Auto Finance. Five days later, they took an automatic payment from my bank account even though I had a zero balance. When I brought this to their attention, I received nothing but a run-around... everything from “we'll return it within 10 business days” to “you'll receive a response within 24-48 hours” (didn't) to “you'll receive a response in 7 business days.” Meanwhile, they're happily using MY money. It's out and out theft. I purchase a car through Chase Auto Financing in July of 2011. I paid the car off early in August of this year but have still not received my title from Chase. I have spent the last 5 months on the phone with Chase yet not one person has been able to help me. The customer service is reprehensible and not one person (out of 50 at least) took the initiative or followed through on one task. Chase has been holding me hostage for 5 months and 3 months ago my tabs expired. I have tried contacting every different branch and the furthest I got was the executive office. The person who helped me there was useless, rude and combative. I will NEVER use Chase again for any purpose and encourage all others to go elsewhere. I would like to add that if I could give them negative stars I would. Contacted Chase to attempt to defer this month's truck payment due to holidays, daughter's birthday, etc. I have made 15 on time payments of $750 and still was denied because it was not considered a hardship. Now I do understand this but I would think being such a large corporation and given my history with Chase that they would grant me this deferral, but nope. Other banks are sending customers letters deferring payments for them! Go find one of those banks that looks to please its customers. Releasing personal information about my account information to individuals that are not on my account or that don't have my consent to talk about my account without asking the appropriate questions to find out if they are talking to the right account holder. Never do business with Chase bank. Years ago I had a cc account issue with Chase bank and decided never to work with them again. Last year I purchased a pre-owned Mercedes. I voiced to the dealership that I am not interested in financing with Chase bank. Lending was completed/paperwork signed but never mentioned who finance the Auto loan. Anyhow I got a statement from Chase. I never intended to take 5 years to pay so I always pay more than due. After several phone calls to reps at Chase, notes on checks for extra $ to go towards principal balance, my request was never honored. Interest was always taken out of payments even with the request to go towards principal balance. Long story short I could never speak with a manager, the reps could never put notes on my account. Luckily I was in a situation to pay off the car and get out from under Chase Bank. Bottom line Chase cheats people everyday. Chase uses any tactic to get as much interest/raise rates for no reason. Be careful not to get stuck. This is coming from a person with many years of financial experience and 800+ credit score. I have worked with numerous banks both personal and business relationships. Have never experienced such disrespect as I have with Chase. If you can get a loan with Chase - you can get a loan with many other companies that will treat you with respect. Many other banks I have worked with treat me as if I am their top priority and a valued customer. I had a Chase Bank auto loan, due to my health I lost my job. I was not able to pay on my truck. My son and I was kick out of our apartment then we become homeless. I also called Chase Bank and told them I had apply for Social Security disability and I also advise Chase Bank that I would do the right thing and return my truck back to the dealer I bought my truck from. I have mailed at least 8 packets of information to Chase Bank telling Chase Bank what has happen to my life. I never got one phone call from Chase Bank. Since then my health has got worse. I am a disable Vietnam veteran. I have a life alert home system in my house and my health is at the level I cannot buy life insurance as well. I just mail another packet to Chase Bank with everything I could show Chase Bank, why I could not keep my truck. All I have to say is this Chase Bank, why you kept kicking me? Why I am down and due to my health I am not sure how much time I have on the earth. I have been honest with you. Chase Bank. Why do you want to keep bully me and hurting me? I DID not ask for my health to get worst on me. I set up recurring payments online to be taken from my checking account. I set it up to pay $50.00 more than the payment. I tried to change it back to the original amount. The website wouldn't let me. I had to get one of their online people to tell me how. I had to cancel the recurring payments and then reset it up for the payment amount. The online person confirmed that it was set right. Then, they failed to take the payment, sent me a late notice and a late charge. It took nearly 3 hours on the phone; they handed me back and forth to five people. I won't know for a month if it's even fixed. I paid off car loan on August 18th. Requested address change multiple times. The finance center sent title to old address. Then requested duplicate title which they received Sept 19th. Called again requesting title be sent and again gave them current address. Still waiting. Called again requesting it be sent today since they have had it awhile. "It was sent FedEx 9-26, delivery 9-28." Checked tracking today and it's not showing delivery date just label requested. I will pull all accounts from the bank within the next month! On April 14th, 2016 while working on a Merchant ship, I tore my bicep completely off the bone. Maritime law provides that a Jones Act company pay injured employees $16.00 per day while they are off work due to an injury. I contacted Chase loan services and asked for my loan to be deferred for July, August and September. I informed them I should be back to work in early October. They were only willing only to defer my loan for the month of July. August I was able to use my credit card to pay my loan payment. With no money in my account and my credit cards maxed out; I returned to fulltime employment on September 21st. Two weeks ahead of schedule. On the 23 of September Chase called me to inform me that I was 10 days late on my payment and wanted to know what I was going to do about it. I told them I would make two payments in October. Today; the 25th. I was called again informing me I was now 12 days late. I told the lady. "You people have known about my situation for months. I told the guy who called me two days ago I would pay two payments next month." She replied. "What day will you pay?" I replied. "I can't give a definite day because I am not home; I am on a ship. I just started back to work on Monday and I will need a family member to go to the bank and handle the payment." She said. "Since you can't give me an exact date we are sending this to collections." I said, "I tried to work with you people. I have done everything I said I would. You will get paid, up to date, in a few weeks. Now due to your unwillingness to work with me, you are going to ruin my credit? This is a situation you people created." I have banked with Chase for 11 years and for four years I have paid every payment on time. This is how Chase Bank treats its loyal customers. I am settling this loan as soon as I can and I will NEVER do business with Chase again. My husband and his father purchased a car through CHASE Auto Finance as a 6 year loan. We struggled off and on to pay the bills but we tried to catch it up every time that we fell behind. Finally, to get out from under the burden of all the bills, we gave up our home and went on the road trucking full time for 2 years to pay off past debts including our Chase loan. We called in February 2015 to get a payoff and we went into the branch and made the payoff to the penny IN CASH! We were given a letter that it was paid off, so we went to the DMV and transferred the car into my name. In February, they sent to the credit bureau that we had 18 months IN A ROW delinquent on the account (which was not true or they would have repossessed the car) so we complained to Chase and the credit bureau and had that fixed. They in August when the title had not arrived, Benjamin checked his credit and saw that there was a $452 balance on the account and it had been hitting his and his father’s credit all that time. So he called Chase and they refused to correct it even after they realized they had misplaced a payment (placing someone else's payment on our account and giving us an incorrect payoff). I SPOKE PERSONALLY with 2 people who said a supervisor would call me back and never did either time. And after following up a 3rd time and speaking to 3 reps/supervisors, nothing was settled so I refused to pay the amount and am willing to get a lawyer to fight this as well as contacting the credit bureau. We will be taking our bank accounts to another bank as soon as possible and we will NEVER DO OR RECOMMEND BUSINESS WITH CHASE AGAIN unless this is resolved properly in our favor! I cosigned on a car for my niece and her husband, big mistake. They fell two months behind before I was able to get possession of the car. Why would I make payments on something I don't have, and on the 18th the next payment is due. Chase representative Chris told me as soon as I had gotten possession of the car, call them and they will do whatever they can to help me out because if the car is repoed AND sent to auction, they would lose money. Called them back twice and the end results were, "Sorry, there is nothing we can do for you." Really Chase?!? Just a couple weeks prior to that I was told there were several options we could look at!!! I even told them they would have two payments by the 18th and the response I received was, "You may want to think about refinancing." Chase does not do "whatever they can" to help anyone, and no one there is "on the same page." Ridiculous! You would think that a company as big as they are would at least keep their word and try to help you out! On July 17th 2015 Chase auto Finance had repoed my car. I had fell behind in payments due to financial hardship. I called in on 7/17/2015 I spoke to a rep Lane # **. He told me the only way I was able to get the car back was to pay the loan in full. He also stated that I was notified in writing via Fed Express that they were going to repo my car. I never received such a letter, and that I had bounced a check for October and that was part of the reason they repoed my car. When I said it wasn't true he got nasty and he wouldn't consider me getting the car back with the due payments. He suggested I speak to a supervisor to make an exception because he didn't have the authority to do so. I called later that day and asked what my options were. "Pay the full balance." My aunt went into a Chase branch and made the full payment via personal check. When she asked the bank teller if she needed a certified check he told her a personal check was fine. The redemption department did not accept that. Their argument was it had to be Western Union, MoneyGram or wire transfer. When asked how I was able to fix this so that I was able to get my car back they suggested my aunts bank fax over on letter head stating the funds were available. The next day 7/20 me and my aunt's bank called in. He stated due to the bank's security policy he could only do a verbal. The redemption department didn't accept that. My aunt's bank had tried to stop the personal check so we could issue a certified check. The funds were already paid so we couldn't do that. I then called Chase Auto loan customer service. They said the check had cleared and the title and release of the lien was mailed out to me that same day. I called back to the redemption department and got Lane on the phone again. He told me that wasn't true and the only title that was being process was for auction. I then asked to speak to a supervisor and a rep named Chris got on the phone and told me that I could not get the car back even if I had the title or the release of the lien in my hand. I called again on 7/21 to find out if they would release my vehicle again and they told me no. They needed proof from my aunt's bank that the check would not be stopped. I called my aunt's bank again and they faxed over a copy of the check with the stamp of the bank and his business card with another verbal agreement that the check would not be stopped. I was told that wasn't good enough. I would need verification from the Chase branch the check was deposited at by a rep named Aris id# **. She then started rehashing to me their policy and that even though the account was closed and the funds were processed I was not able to get my car back. I got very upset and asked to speak to someone higher to her. Then a rep named Marcus id# ** got on the phone and said I would not be getting my car back for ten days till they process the payment. I mentioned the account was closed and paid again. He told me that was his policy and when I said Chase Auto finance mailed me the title & release of the lease he said that was not true and I was getting false info from the cust serv department. He then said he would call me back to see if there was anyway he could speed up the process. I never received a call back from him. I also contacted the Chase branch where the payment was made and spoke to the branch manager. He said he would find out about it and call me back by 6 pm with good or bad news again. The manager called me at 6:05 pm and said he was on the phone with the redemption department for almost two hours and could not get any answers. He told me I would hear from him the next day and he also verified the account was paid in full and closed. I was also never called back from the redemption department. In March of 2014 our bankruptcy was discharged. The following month, April, Chase Auto took a chance with us and gave us a loan on a car. Over the past 14 months we were able to increase our credit score because of our payment history with them. This month we traded in that car and purchased another with a much lower interest rate. Thank you Chase. I was a Chase Auto Finance customer for 6 years. In Feb of 2015, I paid off my vehicle and requested my title. I never received my title and subsequent phone calls only got me certified letters confirming that I did, indeed, pay off the car and then telling me to take said letters to the DMV and have them release my title. After getting all the required documents that the DMV requested, I was told that I had to pay $156.00 dollars. $78.00 for the missing title (that I never received in the first place), and an additional $78.00 for a new title (that I should have received for free to begin with). Now $156.00 might not seem like a lot of money to some of you, but it's $156.00 that I should have never had to pay to begin with. I will NEVER finance another auto through Chase... EVER. I paid 3700 dollars down on a 10000 dollar car to with them with a 48-month payment plan to pay the rest and interest. My payments were 223.40 and I paid the first 15 months with no problems. However after giving birth my baby and I both became sick and I was making payments as much as I could but couldn't seem to stay caught up after falling behind four months. They repoed my car the morning of my birthday. I spent two days trying to locate it and was having trouble, finally I got in touch with Chase and they informed me my only option was to pay it off in full but could not give me a payoff amount. I expressed I didn't think I could manage to pay it off in full and they told me there was nothing they could do. I then waited for a notice from them or a call but never heard back. Finally I called them because I've seen my credit report get hit with the charge off. When I contacted them again I was told my car was already sold and I was credited $980. When I questioned why I never received notice they didn't have an answer and I asked why they sold it so cheap when I was more than willing to try and work something out so my kids and I could have a vehicle. I then requested a payment history from them which is incorrect because I have confirmation numbers that prove I paid more and I also requested proof of repossession and resale for my records which I still never received. I understand I got behind on my payments but they were wrong for not properly giving written notices and for selling my vehicle for $980 when according to fair market value a personal sale estimated at lowest 6120, a dealership sale estimated at 8267-11000. I was selling my car to my niece last Thursday and needed to pay off the auto loan and fax the release to her bank so she could get her loan. I was paying off a Chase Auto Loan with money from a Chase Savings Account and the branch could not sign off on the title. We had to pay a fee to have the release expedited from the main office and still wait two business days. She took the bus from school and had to take the bus back! We are still waiting for FedEx to deliver the release. I'm sorry. There is no excuse for this. 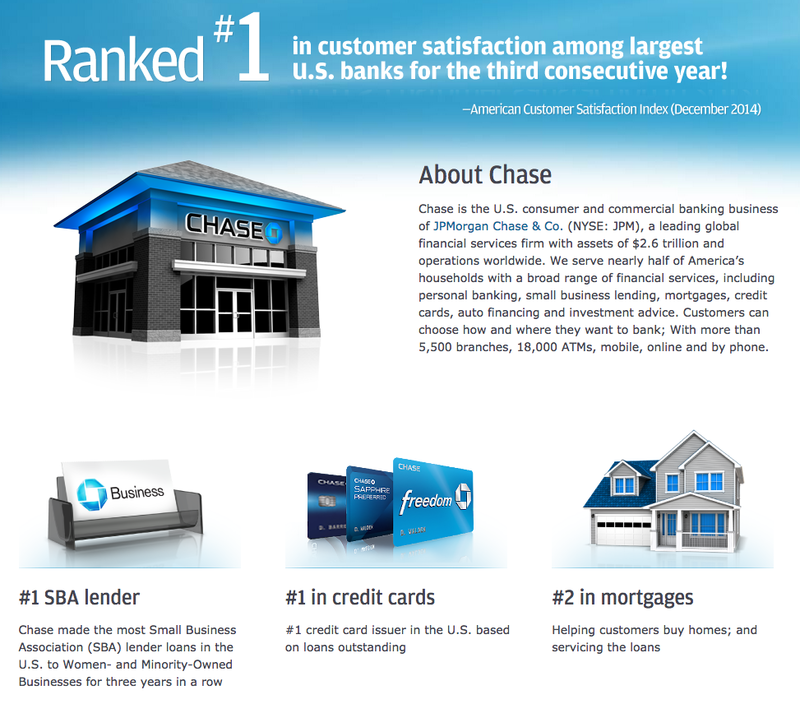 We have been customers of Chase for some years. We had 2 cars (at the same time) and paid them on time every month (autopay thru bank). Both cars were paid off in 2014 as scheduled. One of the cars was totaled in Feb 2015. CHASE DENIED US A LOAN FOR A CAR. I guess this is what we get for being a loyal customer, no shame in THEIR game (take the money and move on). We did get financed thru another company AT AN INTEREST RATE WAY LOWER THAN CHASE. So, thank you Chase for your UNLOYALTY. We are paying someone else a lot less money due to your denial... PEOPLE CHECK AROUND BEFORE SETTLING FOR CHASE. As long as using car loan from chase I don't have any problem, so far okay and when I paid my car loan they handled everything very easy and fast. I informed them of my situation and told them I would pay on Friday... They repossessed the NIGHT BEFORE! What a bunch of **! Fast forward (car was repossessed). After several conversations from January 23, 2015 until today, I was under the impression that after they sold my car at auction that I was getting a refund. In fact, one of the conversations the woman actually told me the amount of the refund and the date it was cut but it was never mailed. So as of today, March 12, 2015, I talked to two other gentlemen who state that I will not be receiving a refund check. The first gentleman told me that because I live in Massachusetts, they do not issue refunds on the fair market value of the car. Does that make sense??? I then asked to speak to a supervisor and he tells me that the car sold for less than what I owed so that was credited to my account. I then asked, "Does that mean I owe money?" He said, "No, I need to have someone from the credit department call you and explain this to you." I then asked, "What did the car sell for?" Again, he said, "I need to have someone from the credit department call you." I was so upset, confused, and angry that I hung up on him. Where do I begin?! I'm beyond annoyed with this company! I purchased a vehicle about 2 years ago. Never missed a payment up until about 3 months ago due to layoffs in Atlantic City NJ. I called Chase to let them know of my situation. They told me there was nothing they could do and requested I borrow the money from somewhere. Needless to say I'm pissed they suggested I find the money. January 2015 - my vehicle was repossessed. I was able to get the car back the following month after I paid off the loan. I went to a auction place where the vehicle was to be sold. Chase told me I needed to get my tags from the repo company. After doing all that I realized the vehicle needed to be inspected and re-registered. Everything went through just fine up until a few days ago - I get pulled over!!!! Officer tells me my tags aren't on file. I immediately go to the Dmv with my registration and the lien release form. The Dmv tells me the title is no longer in my name as of March 4, 2015..... WTH! They told me I would have to call Chase to get the title before I could do anything. Called Chase today to get absolutely nowhere with these people!!! Ughhhh! They took me completely off the vehicle even after paying the vehicle off!!! It's been almost a month since the car has been in my possession and Chase failed to tell me my tags wouldn't be good!!! But they're quick to take your money and harass you all day for payment! They let me drive around illegal for a whole month. Now I have to wait for a freaking title that could take up to 30 day! Not happy!!! BAD BUSINESS! Chase is one of the leading providers of auto loans in the country. They provide loans at competitive interest rates for a variety of automobile purchases. Purchasing options: Chase offers loans for purchasing both new and used cars from a huge number of well-known and reputable car dealerships across the United States. This wide network is convenient for many customers, no matter where they are purchasing a car. Online applications: The company allows users to apply online and receive an immediate decision on their loan. From there, Chase contacts the applicant to discuss the next steps for finding the right car to purchase. Discounts for Chase clients: For customers with a Chase checking account, users can get additional rate discounts on their loans. Depending on the terms of the deal they could get a low APR on their loan, as well as monthly payments that allow them to pay off their loans more quickly in order to keep interest rates down. Refinancing: In addition to loans for new and used cars, Chase offers options to refinance existing automobile loans in order to save buyers money. Resources: Chase also offers resources for loan applicants, like a car loan payment calculator, purchasing checklist and refinancing checklist. Best for Customers with a Chase Bank or JP Morgan accounts and customers looking for a low APR loan on a car. Copyright © 2016 Consumers Unified LLC. All Rights Reserved. The contents of this site may not be republished, reprinted, rewritten or recirculated without written permission.